CLEVELAND — Universal Windows Direct is yet again moving mountains. 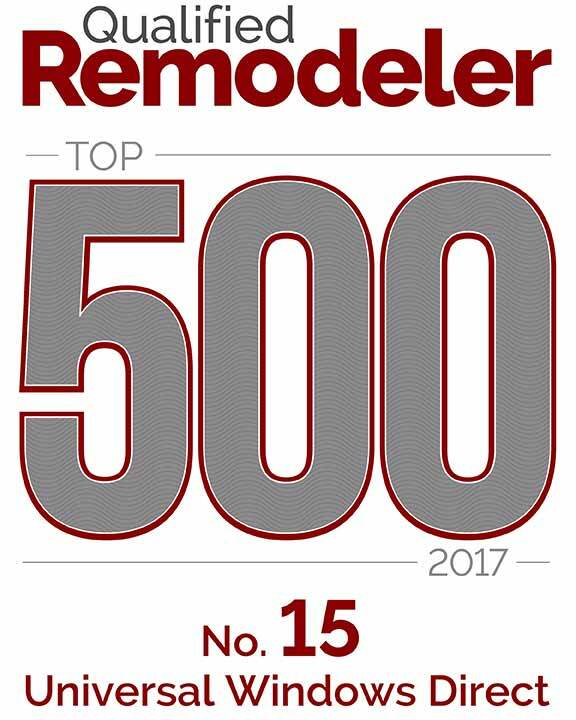 The exterior remodeling company snagged a new spot on Qualified Remodeler’s Top 500 list this year at number 15—a one spot-jump from last year. With hundreds of thousands of home improvement companies across the nation, Universal Windows Direct is honored for being chosen for the Top 500 list in 2017. Qualified Remodeler is an industry staple for recognizing the best home remodeling companies in the country. The Top 500 remodeling companies are chosen by annual revenue and includes categories such as exterior/replacement contractor and full-service remodeler. The industry is thriving, and Universal Windows Direct continues to make substantial strides. “This is an incredible honor. Our company is on a mission to get better, to grow, and to adapt to the changing needs of our customers.” said Mike Strmac, Co-Founder. As Universal Windows Direct continues to grow, the company strives to be known as the go-to source for premium yet affordable replacement window products. Universal Windows Direct’s UniShield® window is the company’s renowned replacement window product, using the best technologies on the market to enhance energy savings in the home. Ranking amongst some of the biggest brands in the exterior remodeling industry, Universal Windows Direct sets themselves apart by offering quality products at an affordable price. This simple mission allows the company to offer the strongest commitment to customer service along with incredible energy saving solutions. In addition to the new ranking, Universal Windows Direct recently launched its fifth corporate location in St. Louis. The company was founded in 2002 by William Barr and Mike Strmac in Cleveland, Ohio. Universal Windows Direct specializes in Energy Star-rated products such as replacement windows, vinyl siding, roofing, and entry doors. Universal Windows Direct is an exterior remodeling company based out of Cleveland, Ohio with five headquarter offices and a growing network of authorized dealership locations across the country. William Barr and Mike Strmac founded Universal Windows Direct in 2002, offering the prestigious UniShield® replacement window along with UniShield® vinyl siding, Owens Corning roofing products, and fiberglass and steel entry doors.